Philam Life Certified Investment Solicitor Nilo B. Matunog talks about Philam Life's "Live Ready" campaign and Financial Literacy with emphasis on Savings and Education. 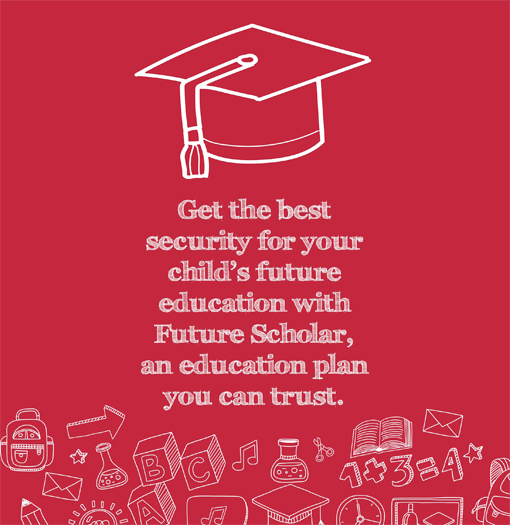 Financial stability is a critical factor that parents should take into serious consideration in planning for the education of their children. It is extremely important, therefore, for parents to start making plans for financing the schooling of their children as early as possible. One effective way to do this is to take out an education insurance policy that will greatly help in easing the worries, problems and the mental and emotional stress attendant to fulfilling this parental obligation. With a goal to help fellow Filipinos to live longer, healthier, and better lives through better financial planning, Live Ready Financial Literacy Campaign is conceived to communicate to Filipinos the importance of proper financial planning. Live Ready campaign simply want to help create financially literate Filipino families, and build a financially stable nation. 96% of Filipinos are concerned about their and their family’s health. However, only 16% are prepared to pay for medical costs in case they are diagnosed with a critical illness. Only 230 out of 1,000 Filipinos who started grade 1 will go to college. This is due to a number of factors, one of which is the lack of funds to support high school and college education. 80% of the workforce plan to retire by 50, but none can even afford to retire at 65. Mr. Nilo Matunog encourages people to start saving and planning as early as possible. Financial planning teaches us to be responsible when it comes to our finances. Aside from that, it builds the discipline one needs in order to stay on track of their goals. If done right, financial planning ensures financial security now and in the future, even if the unexpected happens. Majority of us belong to what they call as "sandwich generation", where within the family that takes care of their children and support their parents at the same time. This can be a very difficult financial burden to overcome, especially if the children are in school and the costs to maintain the health of older family members are starting to increase. his also prevents current breadwinners to prepare for their own financial needs, especially when they retire. Eventually, they would have to depend on their children for their living and medical expenses. And the cycle continues. With financial planning, the cycle can be stop and ensure that everyone achieves their goals and dreams. Understand the difference among short-term, medium-term and long-term goals or dreams. Short-term goals includes monthly living expenses such as food, rent or amortization, transportation, groceries, clothing, utility bills, school fees among others. Emergency fund should also be part of the short-term goals ideally, 3-6 months of living expenses should be set aside in case something unfortunate happens like loss of a job or disability. Medium-term goals are those you want to achieve in 1-5 years. Buying a car, owning a house, going on a family vacation are examples of these goals. Long-term goals or dreams are those that can take more than 5 years to achieve like sending a child to college and retiring at age 60. For every goal or dream, you have to put a monetary value. Then, you have to know your financial position. The ability to achieve your financial goals are defined by your financial position. There are many ways to secure a good financial position. Settle unpaid credit card bills and other loans. These liabilities can decrease one's financial worth. Staying out of unnecessary debts. There are two kinds of debt, the good debt and the unnecessary debt. Good debt helps you manage cash better, for example, run a business. Unnecessary debts are those that lets you buy things you don’t really need. Saving before spending. The typical savings mentality is spending and then saving what’s left from their income. This jeopardizes the process because what if nothing was left? Then there will be nothing to save. Set an amount for regular savings and keep one’s expenses within what remains. How much should we save, exactly? The widely-accepted formula is 80-20 which means you have to save 20% of your monthly income and spend the rest on your living and other expenses. But the reality is, more often than not, just saving a part of your income will not be enough. It can take you years and years and build the money you need and still end up not achieving your goals. Short Term Goals - you need to have available cash that you can easily get such as Savings accounts in banks. For medium-term and long-term goals however, you can opt for Investments which can give you higher returns. The challenge part is that the cost of your goals now will not be the same in 5 or 15 years. In planning you have to consider inflation over 15 years. Its an overwhelming amount and Savings accounts will not be enough to come up with the money you need. That’s where other financial vehicles like Investments come in. There are different types of investments that you can choose from based on your goals, how much time you have to achieve them, among others. Financial planning is the key to achieve your goals and dreams, and it is important to do it as early as possible. It is also good advice to keep your eye on the goal. This way, you don’t get easily swayed to make unnecessary purchases and the money you have is used for the right purpose to help you achieve your goals. Finally, talk to an expert. A Financial Advisor can help you help you plan for your future, guide through the process, and provide you with the right financial solutions for your financial goals. Financial planning takes a lot of hard work and a lot of discipline. Philam Life empower Filipinos achieve financial security and prosperity. Ready to help you plan for and achieve your dreams. Visit Philam Life on the web at www.philamlife.com and know more about how you can Live Ready! 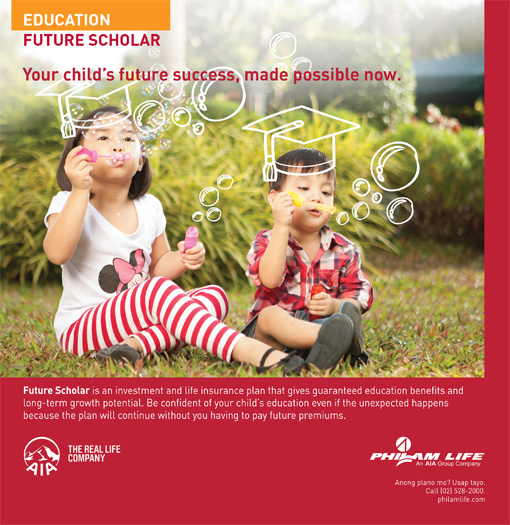 0 comments: on "A Take on Education & Financial Planning with Philam Life "Live Ready" Campaign"